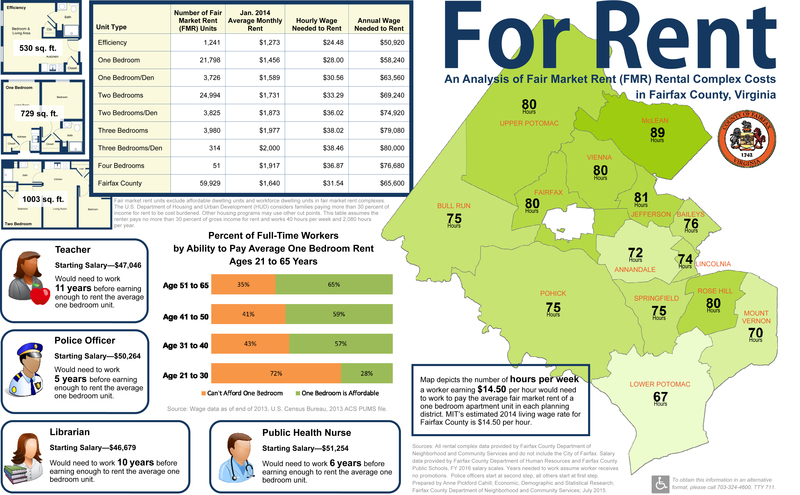 This infographic from the Fairfax County Data Visualization Gallery shows how difficult it can be to afford market rent in our region on the salary of a teacher, a cop, or a nurse. Click the image to view full-size. Will workers stay if they can’t afford to live in the County? Share you thoughts on our Facebook page!